Mad Libs are a hoot. So why not try your hand at this Connected Courses Mad Lib? Share out your results as a screenshot and invite someone else to give it a whirl. Feeling ambitious? 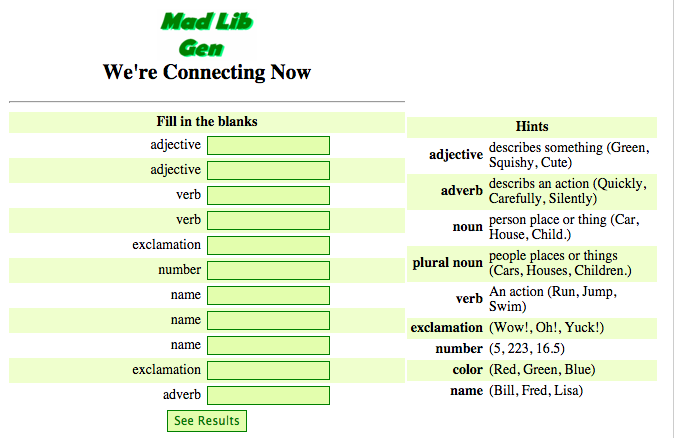 Make your own Connected Mad Lib and share that out, too. Have some fun. Let’s play with Parts of Speech.